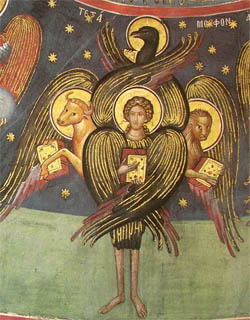 In Christian art, angels are often depicted as winged human-like creatures. However, I'm curious if there is any justification for this in the Bible? I've sometimes heard that there isn't, so that's why I'm asking you as experts in the field. Are there any descriptions of the appearance of angels in the Bible? 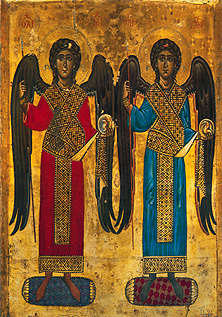 Is there any Biblical reason to assume that angels look like the ones in the picture on the left rather than the picture on the right? The Bible has many descriptions of angels, and in some cases they obviously appear as men, because they are mistaken for men. I can't recall (and a quick search doesn't turn up) any biblical description of an angel that actually includes the elements of most of their art, a human form with wings and a halo. Not the answer you're looking for? 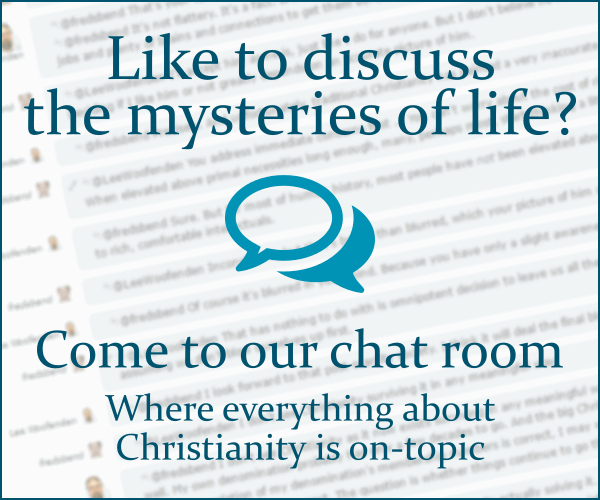 Browse other questions tagged bible art angels or ask your own question. Where did angels get their wings? 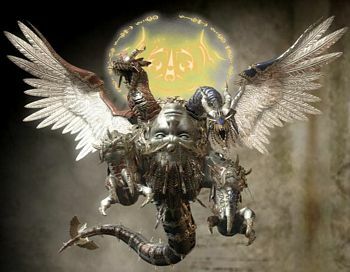 What are the differences between cherubim and seraphim? A “version” of the bible with sentence structure written in English but retaining most of the original untranslated “nouns/verbs/adjectives”? What kinds of supernatural beings are in the Bible? Fallen Angels worshiped in ancient civilizations? Origin of the idea that “demons” and “fallen angels” are the same thing? Where in the Bible does it say angels sing? Has the Bible ever been translated into Egyptian Hieroglyphics? Why is the word “dragon” in the Bible?